I never knew the importance of character behind a person till I experienced a couple of dissapointments, realize some mistakes I made, lost a couple of valuable people, was unappreciated by others and over all just grew up. I mean how many of you actually do? Honestly. What is usually the first thing you look for in a significant other? For example when your eyes are wondering and honestly looking to be attracted? Sometimes leaving us almost breathless from their physic without knowing what’s underneath. So how could you deal with so much change of persona or character? If your at my level yet, you’ve now realize what you truly want and what’s important. Maybe it’s because you’ve had a couple nightmares, or life has really chewed you up and spit you back out. Whatever it is, you have learned that you no longer look up to short breath taking experiences. You now look into taking someone else’s breath away consecutively as you’re reminding them to breathe. You look for someone that can do the same for you that makes you feel like no matter what your covered. 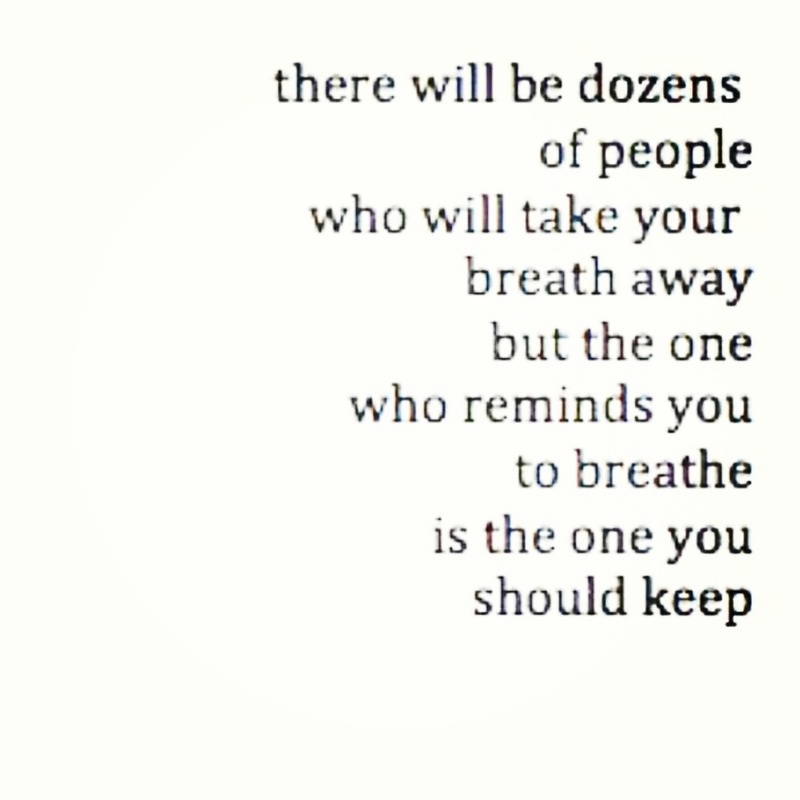 Because we need to breathe to live right? Life is going to always be in action ready to surprise you, kick you, chew you and spit you back out. Life is going to test you, make you happy, make you mad, make you sad, bring you laughter and heart breaks. You’ll realize you need someone to breathe not because you can’t breathe without them but because it’s nice to have them there to remind you to breathe when you seem to forget.